I am not one of those super organized types (unfortunately). However, I do have my "routines" that are in place in order for our family to get up and out the door on school days. My husband and I have been evaluating some of our routines and are trying to make some needed improvements. I've discovered that there are good habits and bad habits that sneak their way into routines. 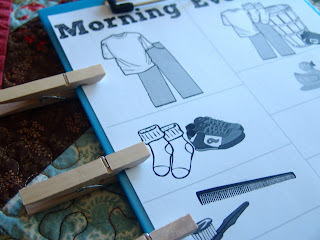 Yes, my seven year old knows how to do his morning routine pretty well on his own, but he likes to moan and groan a little when mommy reminds him to go brush his hair and teeth. When I ask my three year old to get dressed, he likes to reply with "No, you do it." Being obedient with a grumbling heart is not truly being obedient. I can feel pretty desperate at times being the momma of two very strong willed boys. I desperately want to be a good momma to my boys, but more than that, I want to raise boys with a (non-grumbling) heart for the Lord. My friend, Christina, has recommended a new book, Desperate: Hope for the Mom Who Needs to Breathe. I am excited to get my copy and to learn more about others that are in the same situations as me and surviving. 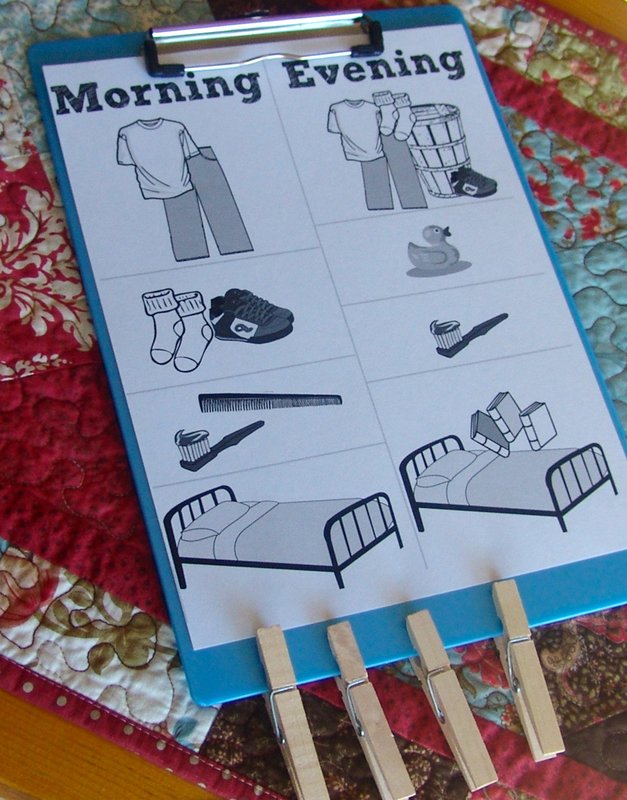 In the meantime, I've created a little chore chart for my 3 year old to put some "fun" in our morning routine. 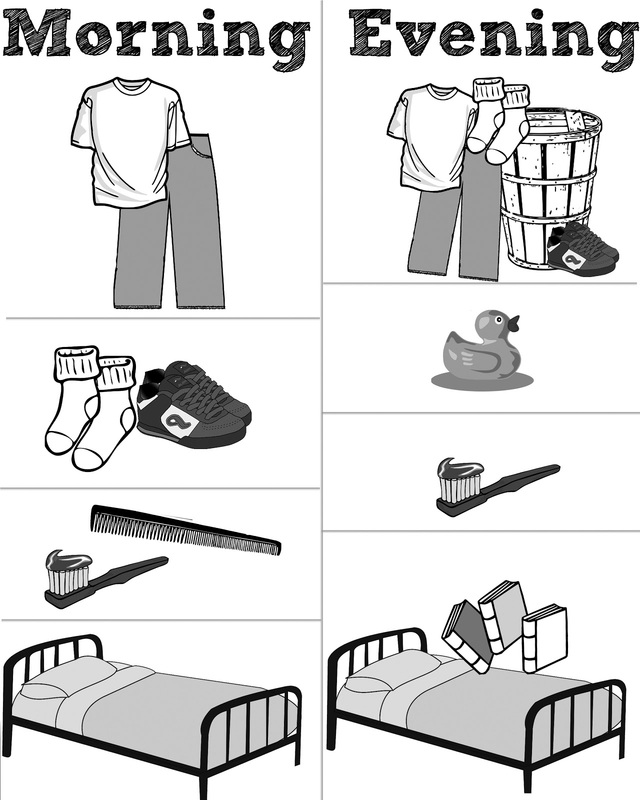 It is a picture chart I made with free clip art found online. 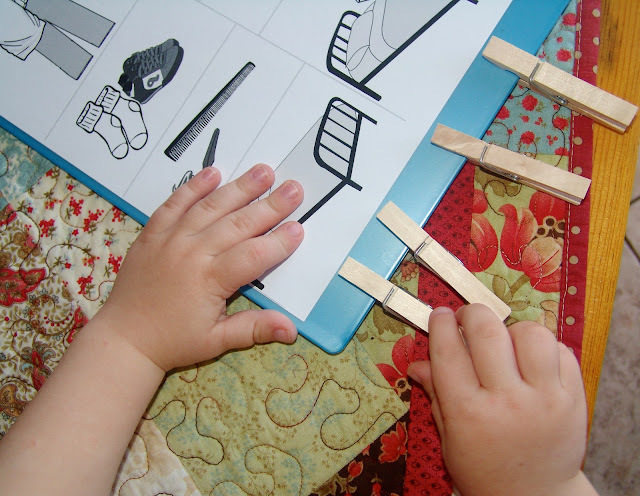 When he completes a task, he gets to place the clothes pin on it....just like checking something off a to do list. My three year old was helping me while I took pictures. Unfortunately, he hadn't really done much on the list yet and was still running around the house in his undies. :) But he had made his bed! If this chart will work for your little one, please feel free to print a copy for your personal use. And join in on the reading and discussion about Desperate Mom at The Lang Gang Loves.